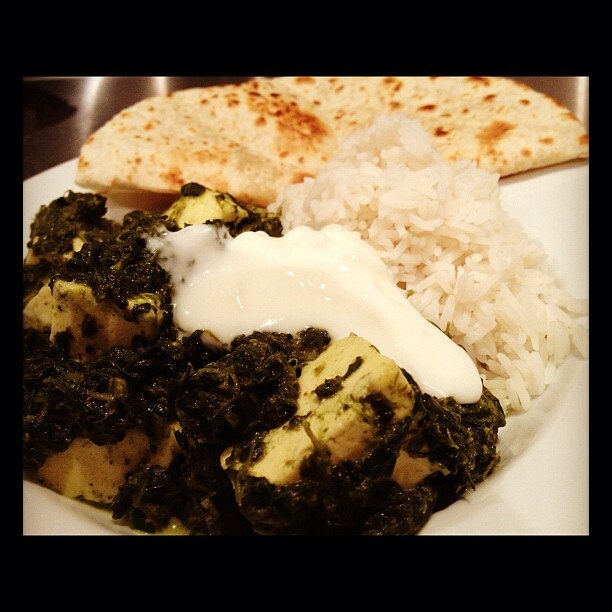 Palak Paneer is a tasty vegetarian curry – palak is the spinach and paneer is a hard type of cottage cheese. I ate this almost every day when I was in India, I loved it that much! 200g paneer cut into cubes (you can buy this in the deli section of the supermarket, usually where the tofu and falafel type foods are sold. I used Gopala brand). 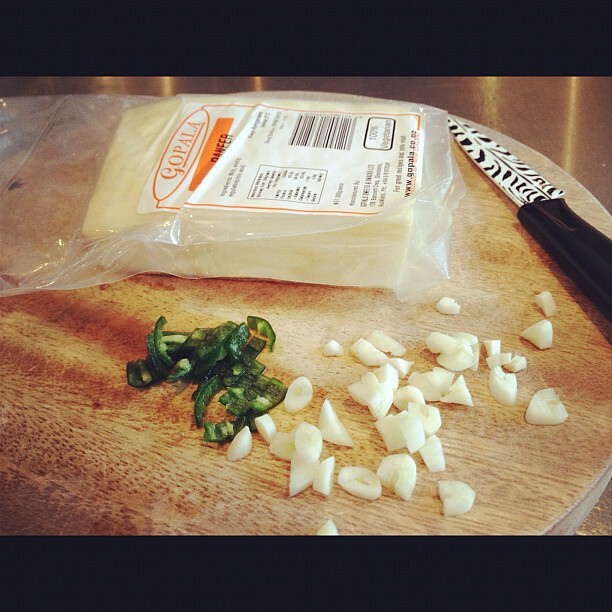 Puree the spinach and chilli in a blender. Heat the oil and add cumin seeds, add garlic and fry until just starting to colour. Add spinach puree and stir. Season to taste. Add water if required and bring to the boil. Add the paneer, mix in lemon juice and cream. Serve with yoghurt, naan bread, rice and poppadom.